We also deal in Following Products used in various Industries. 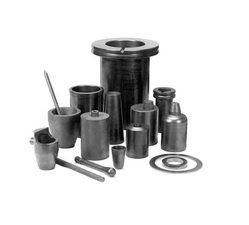 Carbon Crucibles have Very important contribution for melting precious metal. We are determine to maintain consistency in quality and service. -Consistency in quality and services . Bison Panel is basically a Cement bonded wood particle board. The properties of the board are determined by basic materials Wood and Cement. Cement is weather - termite and fire proof, rot and fungus resistant. Wood is comparatively light in weight, elastic an can easily be machined. 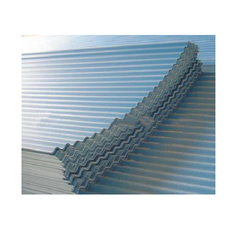 Board strength is obtained by reinforcing the concrete by wood fibers or flakes. By covering wood particles with cement, they are protected. Thus, resulting in a perfect reciprocal effect of the two basic materials cement and wood viz. Strength and durability of cement and workability of wood. Bison Lam combines the exterior grade qualities like fire, water, termite resistance of the plain panel with the beautiful looks and finishes of a Laminated board. 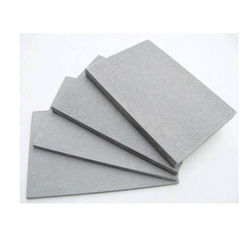 Basic board being made with cement and wood particles Bison Lam is an exterior board and can be used for all external and internal applications. Bison Lams are extensively used for partitions, door panels and furniture applications. Bison Lam surface is impermeable to moisture and highly resistant to staining by house hold items like tea, coffee, washing powder, detergents etc. The surface can be cleaned by a wet cloth or soap.